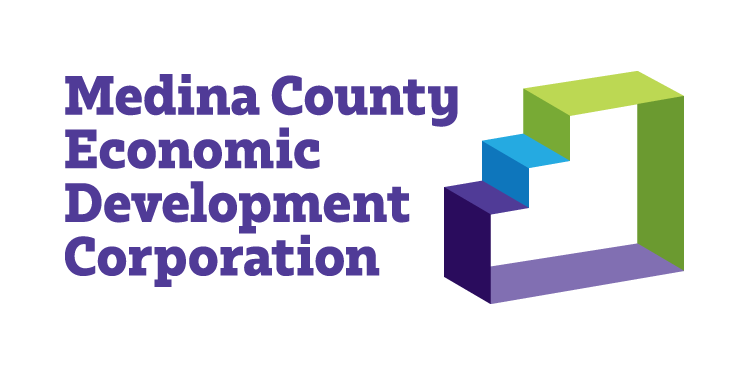 To celebrate the accomplishments of Medina County companies, the Medina County Economic Development Corporation has partnered again with Westfield Bank to present the Medina County Business Awards. To nominate a company, please email the contact information and description of why you are nominating them to kathyb@medinacounty.org prior to June 1, 2019. The deadline for nominations is June 1, 2019. All applicants will be notified and asked to participate in an interview with members of the Preliminary Judging Panel prior to August 24, 2019. An independent judge’s panel will evaluate the nominations based on the nomination form and the information gathered from the nominees during the interview. Applicants will be honored at the 2019 Annual MCEDC Business Awards to be held on the evening of Thursday, November 7th, in Westfield Center, Ohio, where the winners will be announced. Below is a brief description of each of the four award categories as well as links to the applications. Please consider nominating individuals, companies, customers or associates that fit the criteria, which could include you. There is no limit to the number of deserving candidates you may nominate. Please circulate the nomination forms throughout your organization to ensure that the most worthy candidates are recognized. For any questions about the awards nomination process, please contact Kathy Breitenbucher at 330-722-9295 or kathyb@medinacounty.org. This award honors a Medina County business with a significant capital investment in calendar year 2018 that has provided a sustainable increase in revenue and/or employment or has enhanced our community’s appeal by expanding, building or renovating a structure in the county. Nominees will be contacted for an interview prior to August 15, 2019. In order to be considered for an award, company must be willing to be interviewed and provide all necessary information. Please describe the project for which you were nominated. What was the reason for the investment? What do you anticipate the impact of your project to be in the next 5 years both on your company and on Medina County? This award honors a Medina County company that has averaged or sustained growth in revenue and employment for at least five (5) years. What business practices has your company implemented that contribute to the success you’ve experienced? To encourage a charitable environment and recognize creative efforts that make a difference, this award honors the Medina County company or individual that goes well beyond the minimum expectation of community service with a focus on business advocacy. It recognizes outstanding civic contributions to the continued economic development of Medina County communities. Nominees will be contacted for an interview prior to August 15, 2018. In order to be considered for an award, company must be willing to be interviewed and provide all necessary information. What significant contributions have you or your company made to the Medina County business community? What impact do you believe these contributions have made to the Medina County community? This award honors a Medina County owned/operated business, demonstrating substantial innovation in a product, production methods, market creation/development, and/or demonstrating rapid growth or potential for significant growth. Describe your company’s primary product or service. What challenges have you faced as a business owner, and how have you overcome those challenges? What key innovations differentiate you from competitors in your industry? What have been your major accomplishments or successes? What initiatives have you undertaken in the last 18 months that will take your business to the next level of success?